Daily driving performance with off-road durability. Those things do not often mix well together. 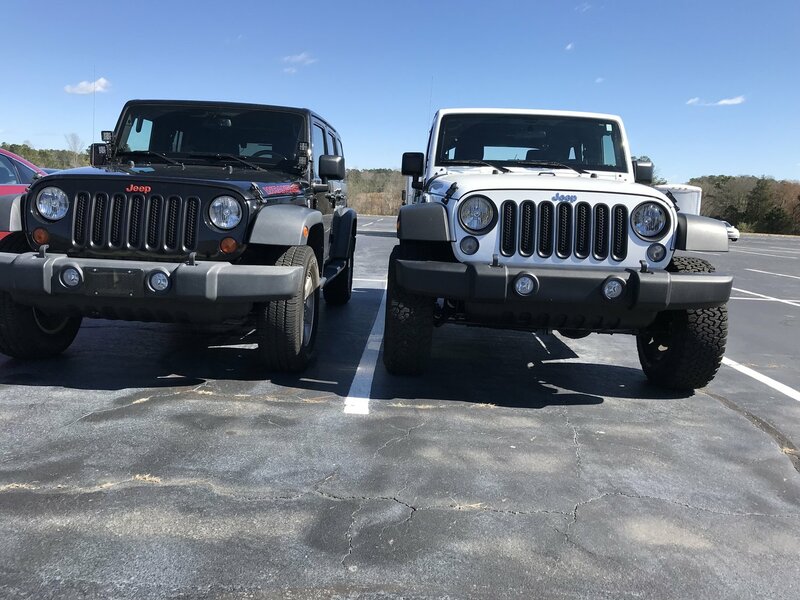 But with Skyjacker's 2.5" Softride Lift Kit, you can have the best of both those worlds. Skyjacker uses its new Softride coil springs in this kit to provide an unmatched factory-type ride feel, while your choice of Hydro, M95 or Nitro shocks help customize overall ride quality exactly how you want. Along with its its front and rear ride balanced design, you truly have unmatched performance. 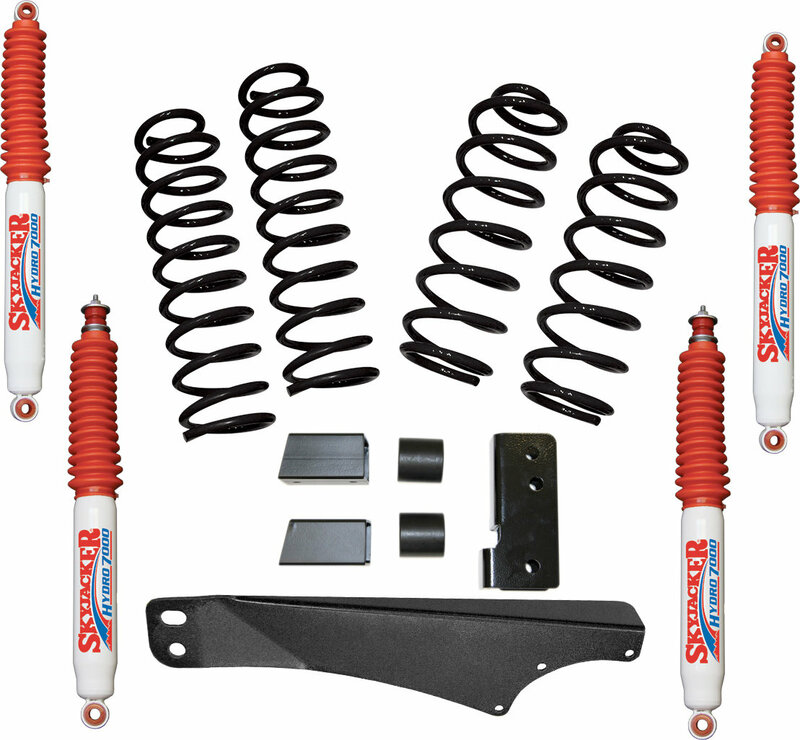 Kit includes: Front and Rear Coils Springs, Front & Rear Shocks, Bumpstop Extensions and Trackbar Bracket. Proven Dependability: For decades, Skyjacker has been a leader in delivering cutting edge technology to the suspension market, and this 2.5" Softride kit draws on that success with strong, yet soft coils that deliver an unparalleled ride. Smooth, Easy Ride: Shot-peened for strength and preset to eliminate fatigue, the Skyjacker 2.5" Softride Lift kit's new coil design stand up for the long-term. Take a road trip, head off-road, or run daily errands without unnecessary bouncing, hopping or other type movement. The smooth ride makes you want to go for a cruise anytime. Reduced Sag: Hydraulic pressure compresses the shot-peened 5160H chromium alloy springs to preset for a coil that won’t sag or fatigue. Fast Installation: With standard installation tools, this kit can be installed in as little as four hours and comes with everything you need including bump stop extensions, track bar bracket, front and rear coil springs, and front and rear shocks. rides great! easy to install. Very simple install, took about 3 hours with basic hand tools. The JK sits like it should now.